﻿Mark Sheridan prides itself on providing a high quality education for a diverse student population. It offers numerous programs to students including free breakfast and lunch programs, sports (volleyball,basketball, and running club), and various after school programs through the After School All-Star Program sponsored by Chicago Public Schools. 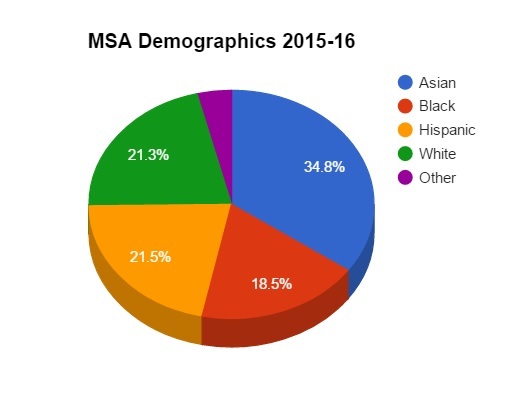 Our students come from many different cultures and MSA staff and teachers celebrate this diversity through various activities throughout the year.